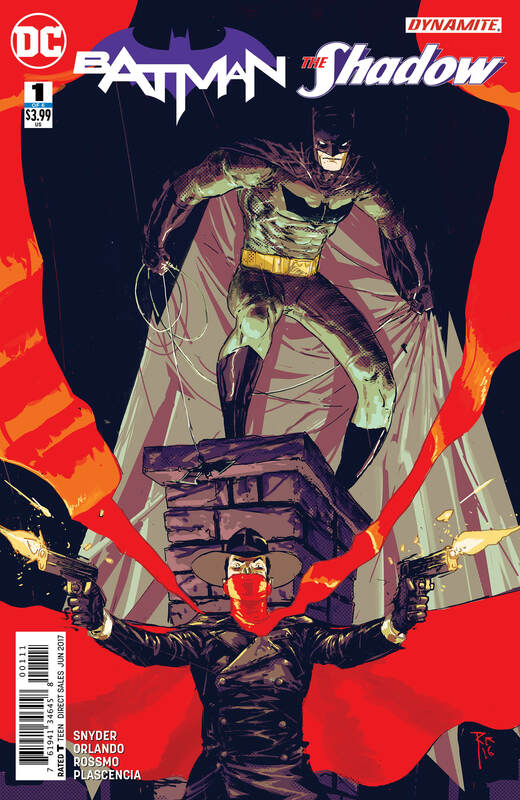 Batman/The Shadow #1 holds back on giving us a proper crossover, but it does provide lots of pulp fiction-style noirish mystery. 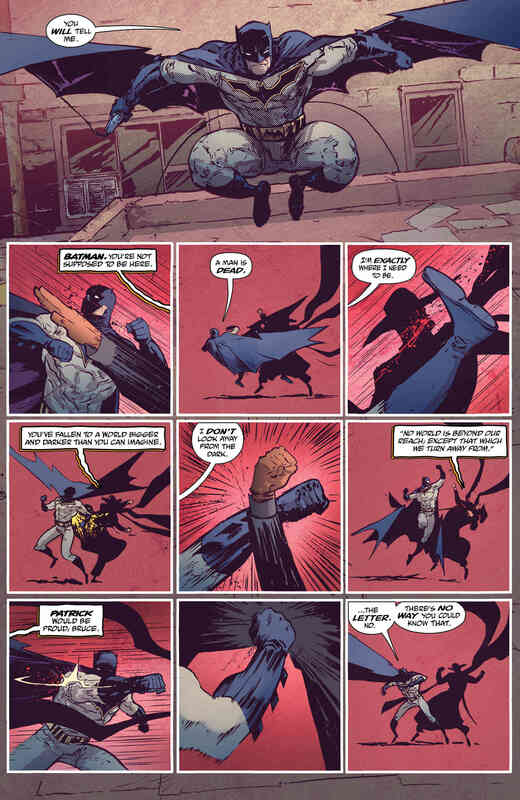 Anyone who’s familiar with their Bat-history will know that one major influence on the creation of Batman was pulp fiction vigilante The Shadow. 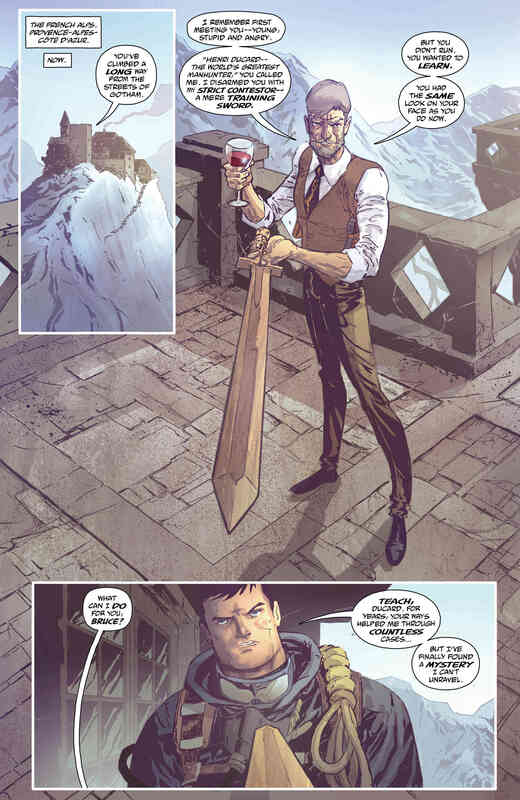 Seeing as the character is currently enjoying a renaissance over at Dynamite Comics, it makes a lot of sense for DC and Dynamite to come together and team up the Dark Knight with his literary forebear. 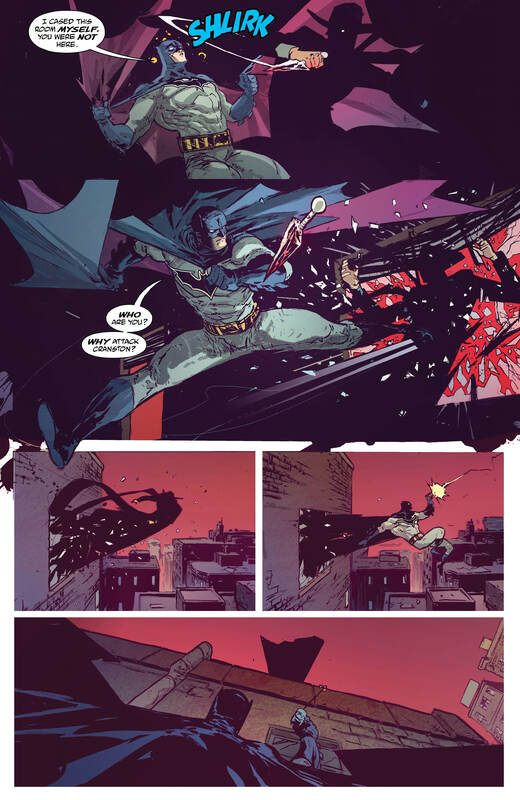 The partnership should be a brilliant one on paper, and this opening issue of the Batman/The Shadow six-part crossover is a suitably promising start. 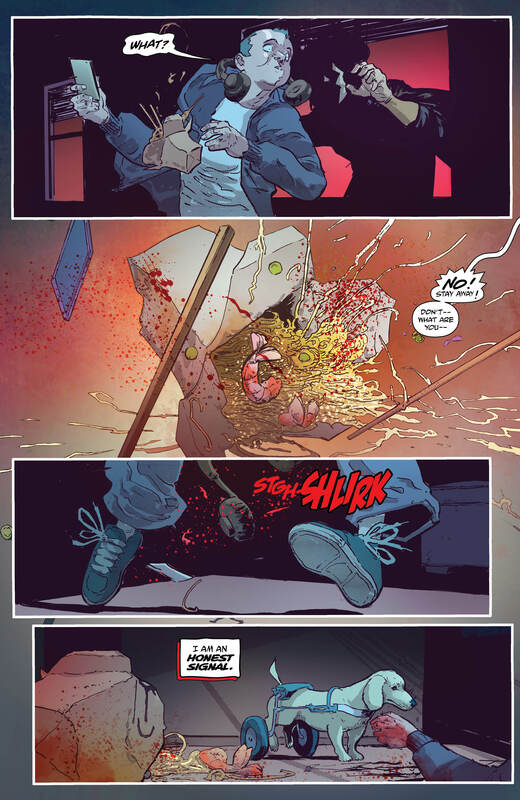 The comic comes from the dynamic duo of Scott Snyder (All-Star Batman) and Steve Orlando (Justice League of America). As you would expect from two DC-based writers, this is absolutely a Batman book first and foremost. However, the pair’s affection for the noirish pulpiness of The Shadow’s world shines through. 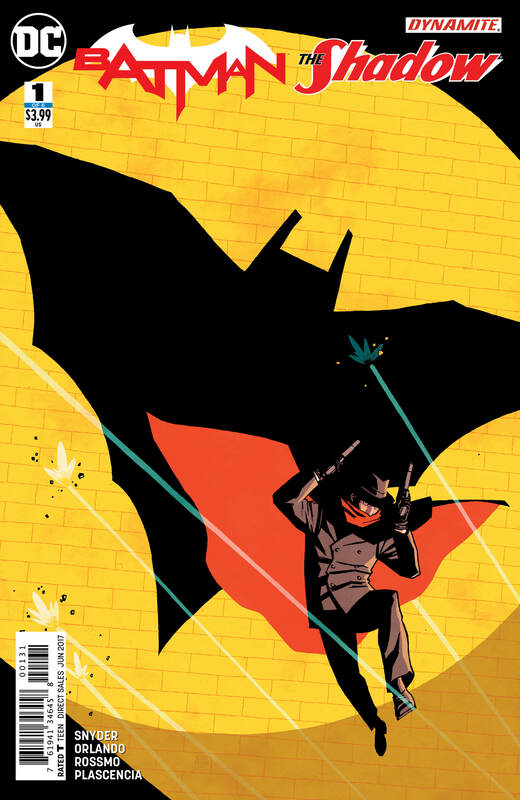 This is a tale that lives up to Batman’s moniker as the World’s Greatest Detective, as he attempts to solve the strangest mystery of his career: who is The Shadow? As such, the intrigue and mystery are laid on thick in this busy, briskly-paced issue. Regardless of whether you’re coming at this as a Batman fan or a Shadow fan, there’s lots to enjoy here. 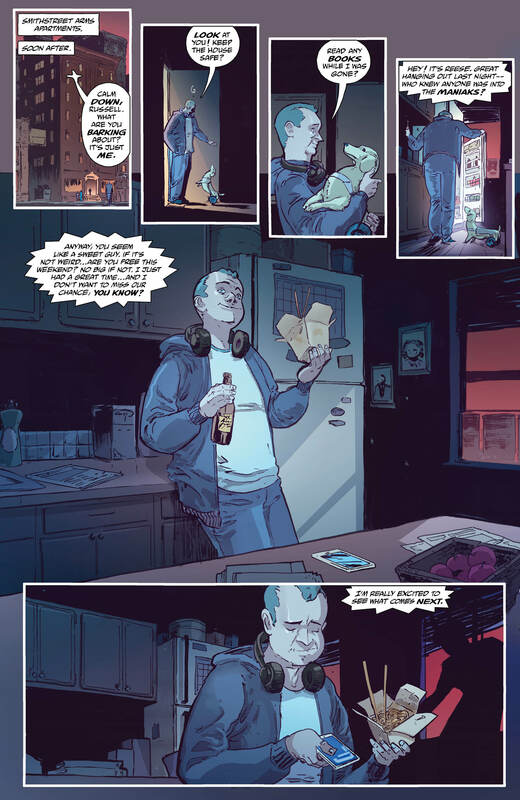 In particular, the various welcome cameos strewn throughout. 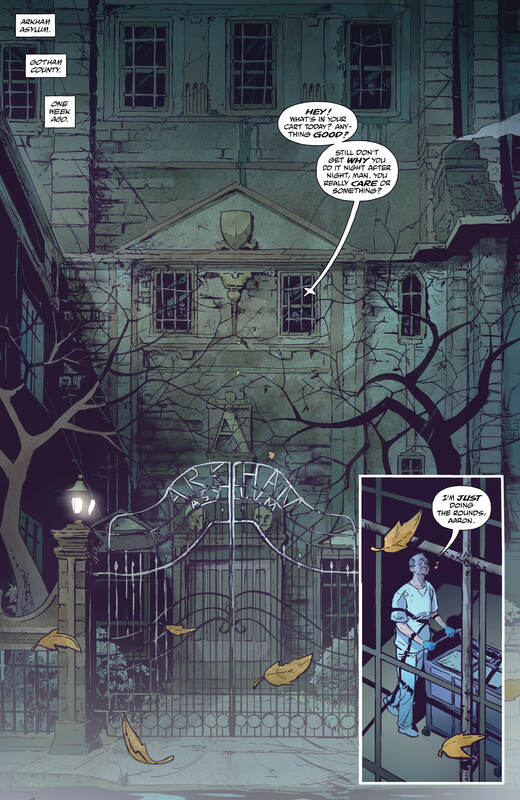 The Shadow’s apparent victim works as an orderly at Arkham, which allows for a trot through the Bat’s rogues gallery. Meanwhile, Batman’s search for the vigilante brings him into contact with various allies of The Shadow’s, now in their autumn years. 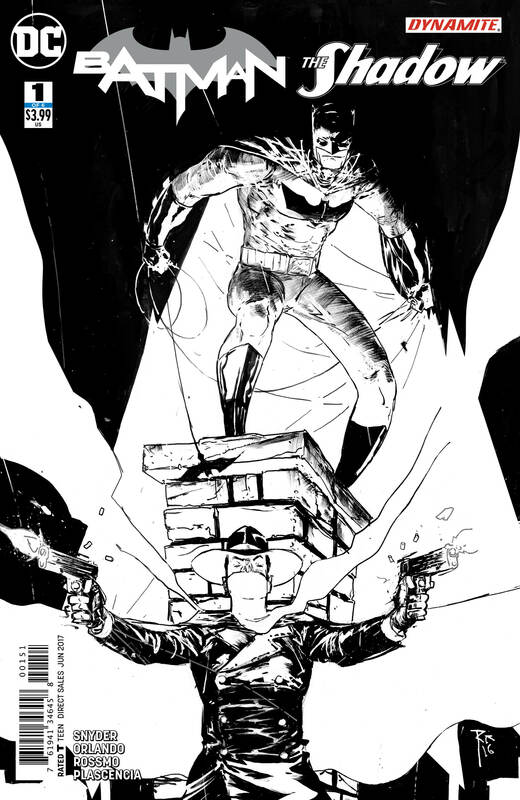 What’s clever about this issue is that Snyder and Orlando have constructed it so that, if the reader’s unfamiliar with The Shadow, the story is still perfectly accessible. 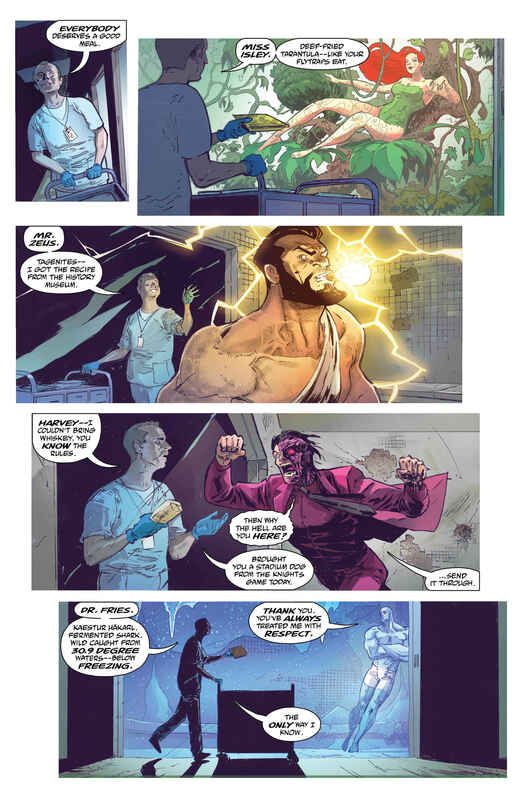 As it’s based around Batman’s investigation into this new vigilante in town, you don’t need to know anything about him beforehand. 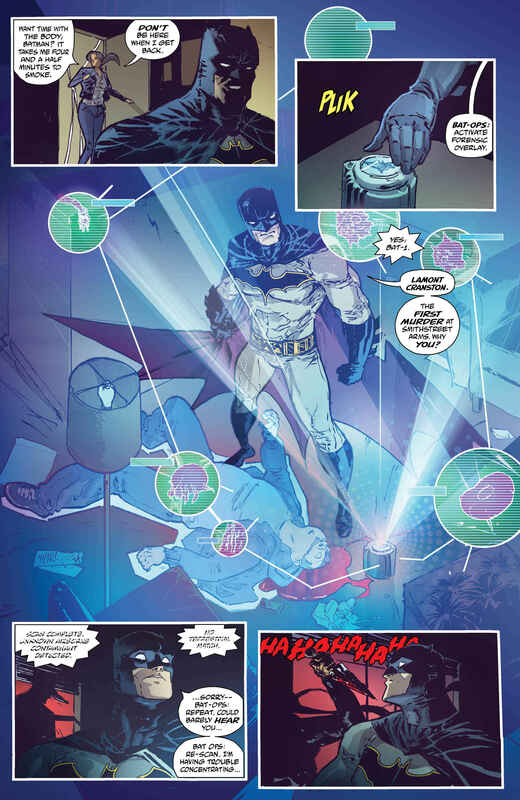 As much as the emphasis on Batman does help in this regard, however, it does mean that the issue holds back on the crossover element, which is what we’re all here for. 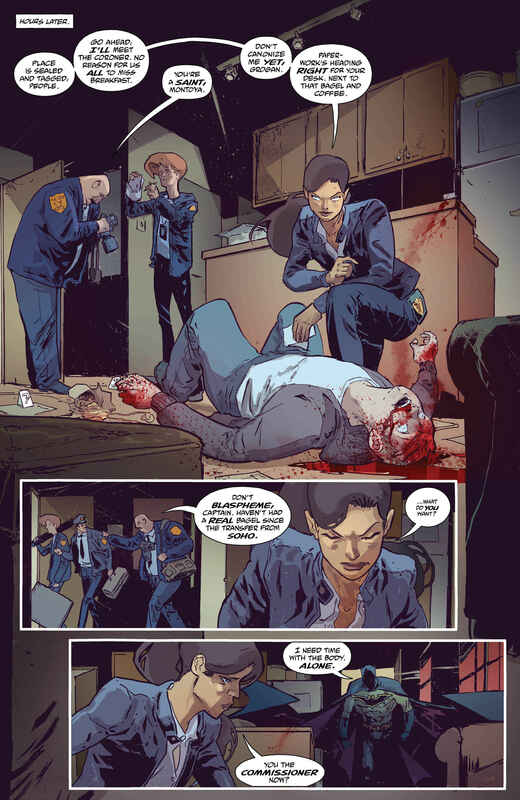 Still, that is to be expected from an opening issue and we still get a terrific fight between the pair halfway through the book. 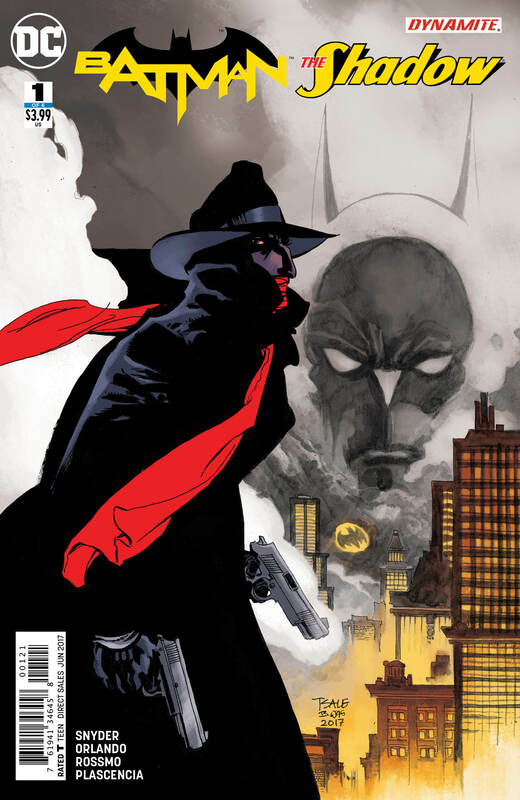 This first issue to the Batman/The Shadow miniseries might skimp a little on the all-important crossover element, but it does make for a stylish, intriguing mystery with lots of entertaining callbacks to the mythos of both characters. All in all, it’s a pure pulp fiction pleasure.